Everyone has heard the saying “an apple a day keeps the doctor away”. As someone who hardly ever eats apples and has never had any serious health issues, I am fairly skeptical that 1. 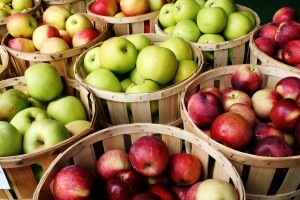 An apple by itself is the threshold to a healthy life and 2. That apples really help that much because I seem to be getting along just fine. After seeing a blog about the benefits of drinking a glass of milk every day, I decided to see if swallowing the weird texture would really help my chances of living a long and healthy life. I set out with a null hypothesis that an apple wouldn’t make a difference either way, but presuming it might help a tad, but not enough for any sort of garden of eden medical magic. To prove my hypothesis I went to the fountain of all knowledge: The Ivy League. In a report by Dartmouth, Harvard, and University of Michigan they address whether an apple a day does in fact keep the doctor away. The study was conducted using a cross-sectional multistage probability interview survey. In this survey there were 12,755 participants all over the age of 18. These people were then split into two different groups; non-apple eaters and apple eaters. Over the course of a year the participants were interviewed and asked questions, such as, how many visits did they have to the hospital or any other health services including mental health care professionals and use of prescription drugs. After all the data was gathered, it was revealed that after necessary adjustments were made there were no significant differences between the two groups when it came to visits to the doctor, but apple eaters did have a sight advantage when it came to the need to take prescription drugs. The study humorously concludes that the saying would be more fitting if it was “an apple a day keeps the pharmacist away”. Although an apple may help keep the pharmacist away I am currently not in need of a pharmacist and thus I maintain my belief in the null hypothesis. My belief was not disproven enough for me to start eating a fruit I do not particularly enjoy every day, but for those apple eaters I have good news you may have less visits to the pharmacy. Davis, Matthew A., DC, MPH, PhD. “Association Between Apple Eaters and Physician Visits.” The JAMA Network. JAMA Internal Medicine, 01 May 2015. Web. 20 Oct. 2016. “An Apple a Day May Not Keep the Doctor Away, but It’s a Healthy Choice Anyway – Harvard Health Blog.” Harvard Health Blog RSS. Harvard Health Publications, 02 Apr. 2015. Web. 20 Oct. 2016. This entry was posted in Uncategorized on October 21, 2016 by William Joseph Robbins-cole. I have always wondered where this idea saying came from, and find it so interesting that it helps with different medicines and prescriptions. This interesting article published on WedMD (http://www.webmd.com/food-recipes/news/20000621/benefits-of-eating-fruit#1) argues that eating an apple actually can keep the doctor away, as well as many other fruits and veggies, but the important nutrias part is the skin of the apple, which is full of vitamins and antioxidants. This blog was interesting to read because when I was younger my mom would always that an apple a day keeps the doctor away to get me to eat apples. I never really believed this statement but now I know its not fully true! I love apples and think they are delicious! 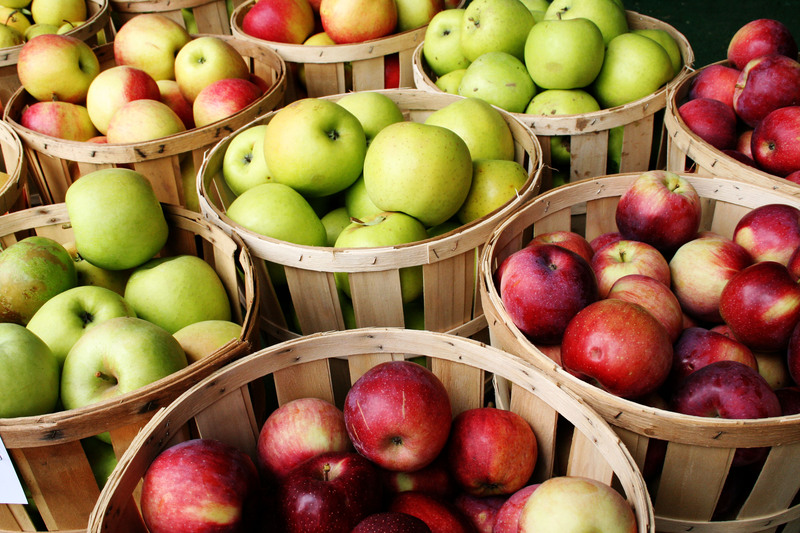 Here are reasons why apples are really healthy!